However, just because the state of or ﻿relationships﻿ are important, and have such an influence on our life and future, it doesn’t mean they're easy to navigate around or make work. Sometimes it's really hard to make sense of what’s happening on a day-to-day basis, as people are complicated and so are we! This is where The Vitality Test comes in and it's supporting material. This book and its supporting content have been written for anyone who wants to have Healthier, Happier and more Empowering relationships in their life - relationships that are Kind and Flow. The relationship could be with a loved one, a friend, your children, a family member or even yourself. Although this content isn’t specifically designed to help build teams or support your working relationships, you'll find plenty of useful content to do just that. The secret sauce within this material comes from the Five Energies, which is one of the things that separates this content from all the other currently available material on relationships. We know that it's highly likely you'll find this content supportive, insightful and valuable in all your relationships and throughout your life - because that's what everyone tells with us. Has just been released and is currently available for immediate download in a PDF format. The Five Main Challenges Our Relationships Have to Deal With - And how to get over them. Which is the ideal Energy type for you? Why treating someone the way you'd like to be treated is a BAD idea! Detachment and the Art of Letting Go! You are fully protected by our 100% Satisfaction-Guarantee. If you don't feel you have gained any new knowledge or insights to enhance the relationship you have with yourself or others, just let us know and we'll give you a prompt refund. 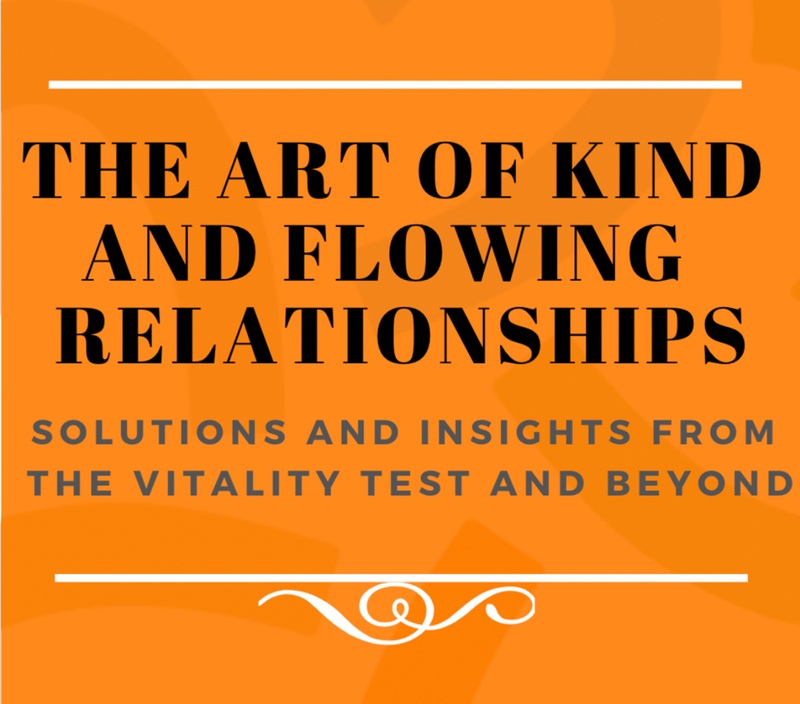 Nicholas Haines is the creator of The Vitality Test and a Kindness Ambassador at the Five Institute, as well as an international speaker, author, strategist and teacher in Chinese energetics. As a Kindness Ambassador, Nick spends his time actively creating a world where Kindness is the common language and way of life, from how you treat yourself and others, to how families, relationships, business cultures, governments and international change operate. Through his work at the Five Institute Nick has been engaged by a diverse range of companies, individuals and organisations from leadership teams at large corporations through to NHS hospitals, educational institutes, international governments and the United Nations. One of the most moving reports about the power of taking The Vitality Test was from a father who'd just had the deepest and most meaningful conversations with his daughter. After the father had taken The Vitality Test, he persuaded his daughter to do the same, which she did after much moaning. What followed was a two-hour tear-filled conversation where they talked and talked. Exploring why they both saw the world so differently, and why that was ok. That changed everything.